With school back in session, many students and their parents are wondering – what elective classes are worth signing up for? Creative writing? Visual art? Physical education? Studying music requires self-discipline, and if you take your studies seriously, you’ll be able to apply that very valuable skill to any activity. Diligence and perseverance are critical to success. Half-hearted practice will not take you very far. You need to keep at it – and if you do, you’ll reap considerable reward, not only in improving your musical ability, but also in any other task you set your mind to. It is axiomatic to say that mental exercise helps keep your brain sharp. Music is an excellent way to achieve this. Not only will your “conventional” memory improve, but you’ll also discover the importance of kinesthetic memory – your fingers will “remember” the music sometimes better than you can! Beyond the fundamentals – reading and understanding notation, performance technique, etc. – you’ll need to learn to interpret music in a compelling and coherent way. Do you play a passage powerfully and boldly, or pensively and subdued? Would it be more interesting to play a movement more quickly or more slowly than usual, and does it make sense in context? As your skills improve, you may venture into an even more challenging application of creativity – improvisation. This also is a transferrable ability. Learning can be challenging, frustrating, immensely difficult – but when you are successful, it’s the most gratifying thing in the world. You know that you’ve put in your all. Every milestone you pass, every objective that you achieve –you feel great, and you are motivated to continue to improve. This is the reward for the hard work you put into the first reason in this list! Whether you are interested in pursuing a career in music, or you just want to impress your friends, you should always strive to enjoy yourself. Music is fun to learn and fun to play – and it’s important to keep this in mind at all times. 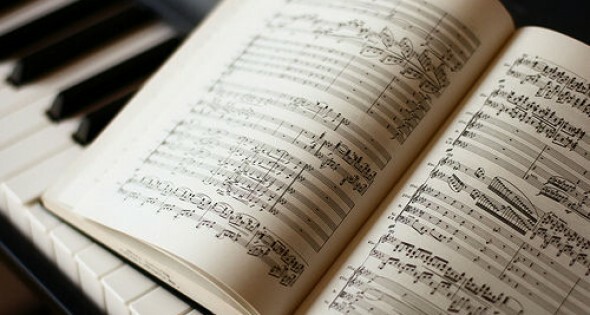 Studying music opens up opportunities to improve skills, learn new things, and appreciate everything that makes life worth living.